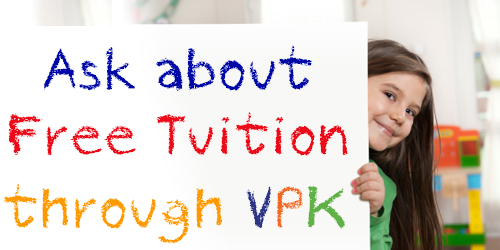 All SJCSD VPK teachers are highly qualified with bachelor’s degrees in the areas of early childhood and disabilities. Maximum class size is 18 students with one teacher and one assistant. St John’s County School District will offer a full day VPK Program throughout the school year at each of our VPK School District Providers. That is a full day of pre-kindergarten early childhood education.